Earth Day is a great time to celebrate the success of island fox conservation and recommit to helping island foxes. 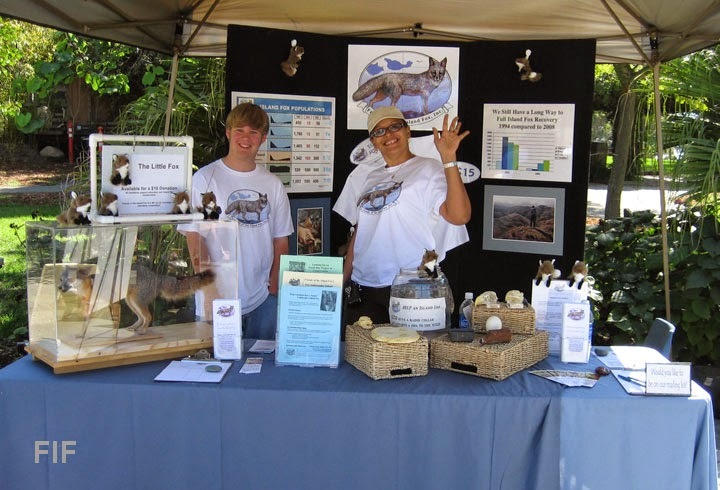 You can connect with Friends of the Island Fox at two Earth Day events. Friends of the Island Fox and Channel Islands Restoration will be at Alameda Park in Santa Barbara to celebrate at the Earth Day Festival (maps & info). 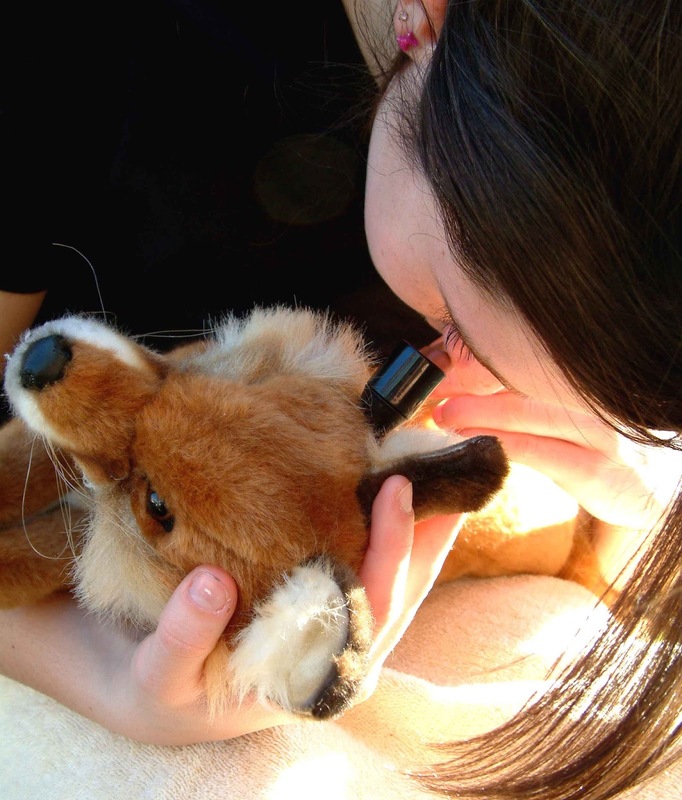 Join in a science investigation activity to discover what the island foxes have been eating. 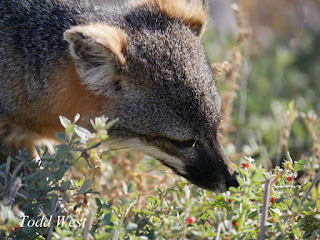 Learn about the connection between island foxes and native plants. FIF will be showcasing our NEW Friends of the Island Fox t-shirts! 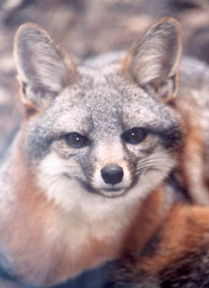 All sales help island fox conservation. Fresno Chaffee Zoo has long been a supporter of Friends of the Island Fox and island fox recovery. 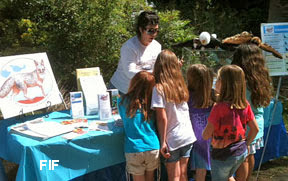 Zoo volunteers will host FIF's Health Check Fox. This unique education tool lets you try your hand at a health check for an island fox. You can check the teeth, examine the ear with an otoscope, check the body for injuries, and take blood samples, just like the biologists do in the field. 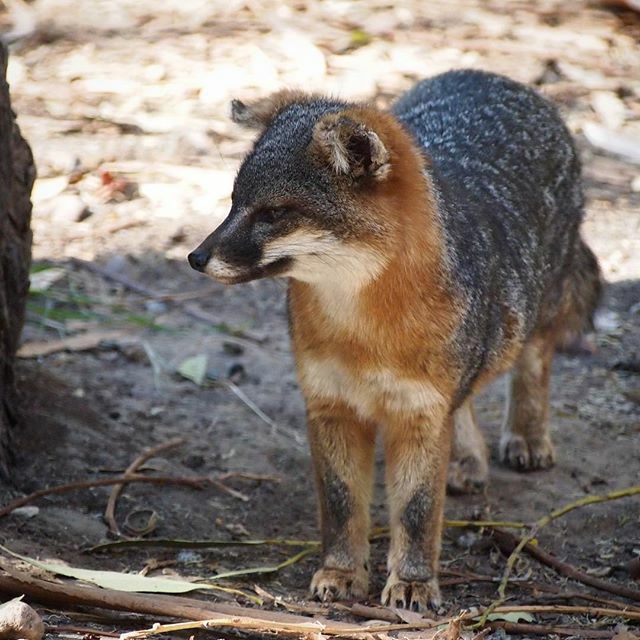 Support Fresno Chaffee Zoo's conservation efforts around the world and here in California for the island fox. 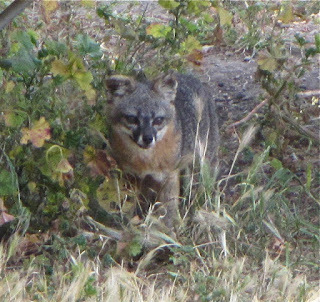 Across the Channel Islands, island fox pairs are preparing for parenthood. They've found a protected spot for a den. The den may be between rocks, under tree roots or bushes, or an abandoned burrow dug by another animal. It just needs to be protected and out of the weather. This den is where their pups will be born. Island fox pups are typically born in April. Most litters have 2-3 pups. The rain this year has been below average so litter size may tend to be smaller. Less rain = fewer resources. 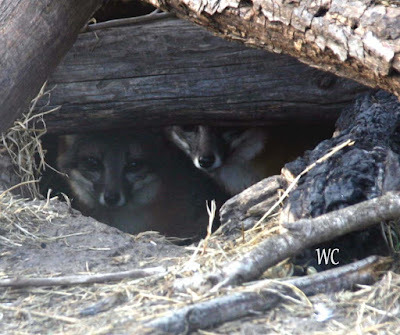 Fewer resources = fewer island fox pups. Drought impacts on island foxes. How big is an island fox pup?